As SEO trends continue to undergo organic changes, it’s absolutely imperative that local businesses keep up with the times and adjust their SEO strategies accordingly. A huge shift from local to hyperlocal search results has been in the works for the past few years now and any online marketer who fails to recognize the significance of this change is jeopardizing their clients’ search engine rankings, especially on Google. There’s no doubt that on-the-go mobile usage has steadily risen in the past decade and will continue to do so indefinitely. More and more people are searching for local brands, businesses, and even services while they’re out and about to avoid having to go out of their way to find what they want. Google has even adjusted its online search algorithm to comply with the growing demand for more localized search results. Gone are the days when there was a minimum of seven top-ranking businesses for every search query. Now, they’ve tactfully narrowed it down to the top three businesses that are physically closest to each user’s location at any given time. In the past, it was necessary for users to conduct searches containing the terms “near me” or “local” so that search engines knew that only local results were desired. The problem with near me searches is that these terms are far too broad and sometimes render undesirable results. 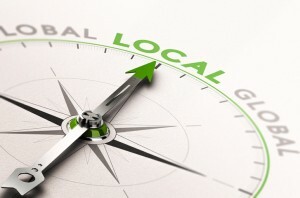 Google automatically shows hyperlocal results now based on a user’s geographical position and directs them to businesses and services that are within their immediate township, specified radius, or exact neighbourhood. For that exact reason, it’s highly important that all of your landing pages are aptly updated and optimized using hyperlocal keywords and phrases that you think your local target audience is most likely to use when conducting online searches. This might even mean resorting to using local SEO slang to increase your rankings on SERPs (e.g. “T-Dot” or “The 6” instead of Toronto or the Greater Toronto Area). Opting for keywords and phrases will not only help you create a more prominent social media presence, but it will also help improve your search traffic and, by default, your foot traffic as well. Recent reports have shown that, more often than not, if people find a business that offers services they’re looking for within walking or driving distance of their location, they’re just as likely to visit the brick-and-mortar location as they are to continue shopping or browsing on the business’s web site. It would be ludicrous not to take advantage of such a smart online marketing strategy. To optimize your Google business listings, you have to make sure that all of your company’s information is always up-to-date and that there isn’t any duplicate or conflicting information when people search for your business. Your name, address, phone number, and web site link should all be current and in proper working order. This will demonstrate to your existing and prospective customers that your business is legitimate and well-organized. You should also take the time to moderate the comment section on your web site, responding to both negative and positive reviews in a courteous and professional manner. Negative reviews don’t necessarily reflect poorly on your business; it’s the way you handle them that shows your customers the true nature of your business. Use them as opportunities to learn from your customers and improve your business practices. 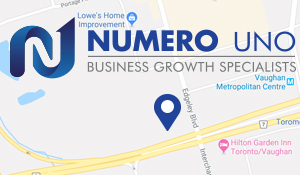 Let the SEO experts at Numero Uno Web Solutions help you improve your online social media and marketing strategies. We’ve helped businesses all across the board in Toronto, Richmond Hill, Vaughan, and even companies in Texas, Massachusetts, and Florida have greatly benefitted from our SEO services. For more information, please call us at 1-855-SEO-XPRT.